Day 17 - 21 Day Challenge. The challenge of time. I write this from the airport as I'm heading overseas for another business trip. I heard a great message this morning which I just wanted to share with you - as it really resonated with me. So it's a bit of a cheat as they aren't my thoughts - but they are just too valuable not to share. 5 ways to 'make the most' of every opportunity. 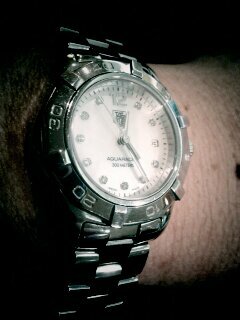 Recognize that time if your most valuable asset. There is a fixed amount every day and whether you are rich or poor you are given the same amount. You can't manage time so manage opportunities. Decide what's important. Determine what is on your TO DO list and what is on your NOT TO DO list. Do them daily (the important things). Make those things that are important to you (the things you value) part of your everyday life. This really spoke to me as I live such a busy life and am constantly striving for balance in what I do, who I do it with, and how I do it. There is too much in this for me to fully digest it all today so I know that I have to spend some time this week pondering time in my life and how I'm using it.